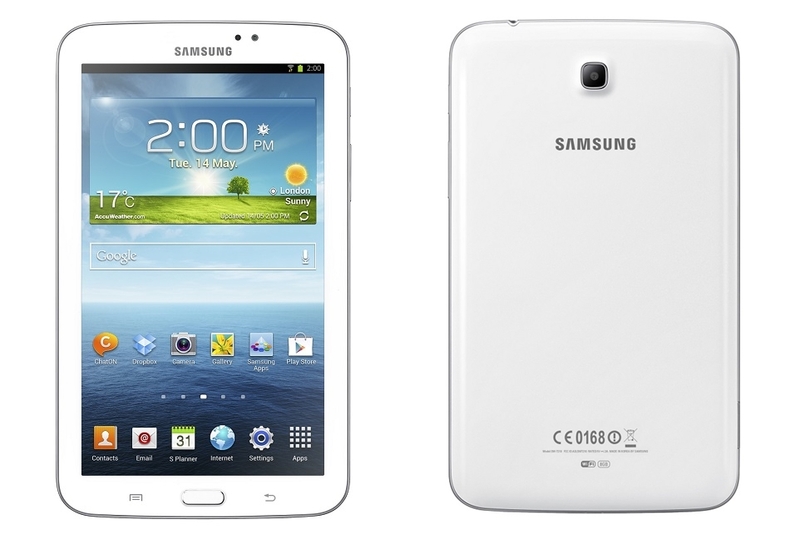 Samsung has just announced its latest tablet, the Galaxy Tab 3. Featuring lower-end specs and Samsung’s iconic design language, the Galaxy Tab 3 looks set to cater to another target market in its product portfolio. The Galaxy Tab 3 sheds close to 40g off the Galaxy Tab 2‘s weight, and is also smaller in every dimension, including thinner side bezels. 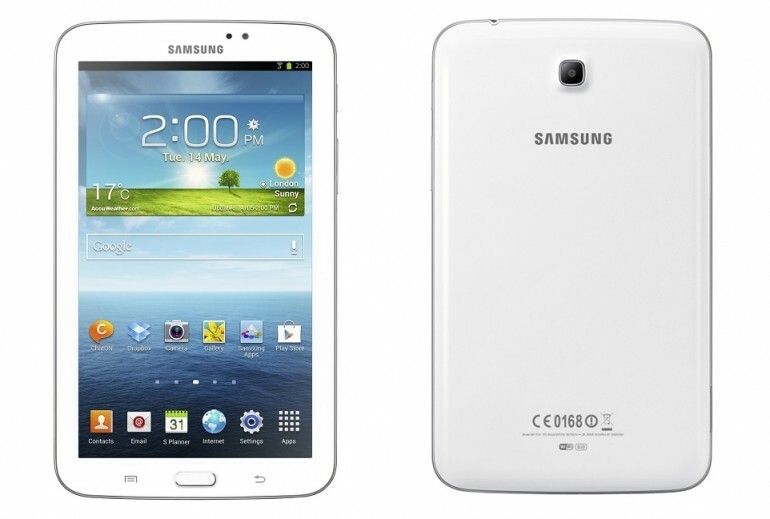 Powered by a more powerful 1.2GHz dual-core processor, Samsung’s latest tablet also runs on a newer version of Android (4.1 Jelly Bean) than the Galaxy Tab 2. Otherwise, this is pretty much the same tablet. The Galaxy Tab 3 retains the same 7-inch 1024 x 600 TFT screen, the same 3MP rear and 1.3MP front facing cameras, similar 8 or 16GB internal storage options (with support for 64GB microSD cards) and 1GB of RAM as well as the same 4000mAh battery. The Galaxy Tab 3 will be available in both WiFi-only and WiFi+3G variants. The WiFi-only variant will be available globally from May, while the 3G version will roll out in June. Pricing details for both, however, were not revealed.